A Russian space freighter, the first this year, has successfully docked with the International Space Station. 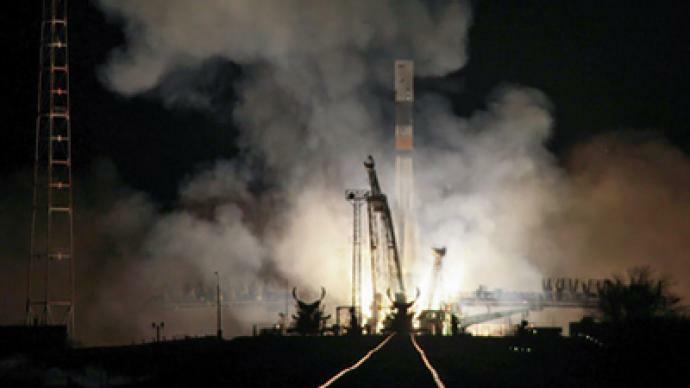 ­A Russian space freighter, the first this year, has successfully docked with the International Space Station. The spacecraft has delivered over two tons of supplies including fuel, food, oxygen and presents for the six-member crew. The freighter also brought a mini-satellite made by students. Designed to transmit greeting messages in 15 languages, photos and data, it will be put into orbit in two weeks. There are six scheduled trips to the ISS this year – as Russia celebrates the 50th anniversary of Soviet cosmonaut Yury Gagarin being the first man in space.